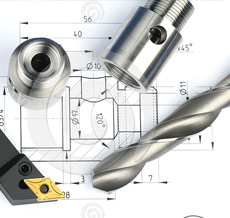 We are often referred to by people using different names; Precision Engineering, CNC Machining, CNC Engineering, Precision Machining, CNC Technology Engineers. We are all of them, depending upon your requirements and provided you want a quality product manufactured by us. Quality, Precision and Passion are three values at the heart of CNC Technology’s success. The values are applied to both our "Design through to Manufacture" service and all the engineering parts we manufacture. We pride ourselves on how we professionally service our customers (we call them partners as we work closely with them) and the fact that we deliver on time and on budget… everytime. WHY PARTNER WITH CNC TECHNOLOGY? CNC turning up to 480mm diameter x 1500mm long. CNC vertical milling with 4th axis 1250mm x 800mm x 750mm. CNC turning with 45mm bar feed and live tooling. Full 3D milling capability from customer models. Conventional turning 550mm diameter x 1700mm long. Conventional milling 850mm x 350mm x 350mm. Reverse Engineering To Produce 3D Models Prior To Machining.